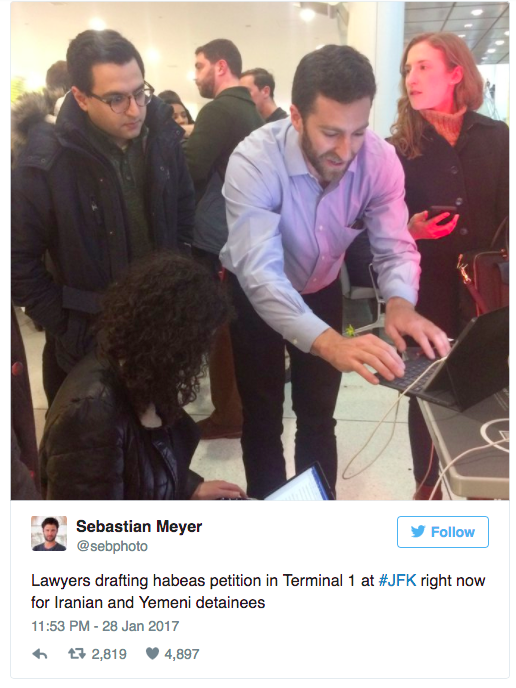 Over 4000 lawyers have flocked to airports all around the United States, and even around the world, in order to show their support for immigrants and their families who have been temporarily banned by President Donald Trump’s executive order. The executive order, that was signed last Friday, blocks citizens of seven countries with a Muslim-majority from coming into the United States. As the order went into effect, there was a wave of panic and chaos all around airport terminals in the United States and also around the world. 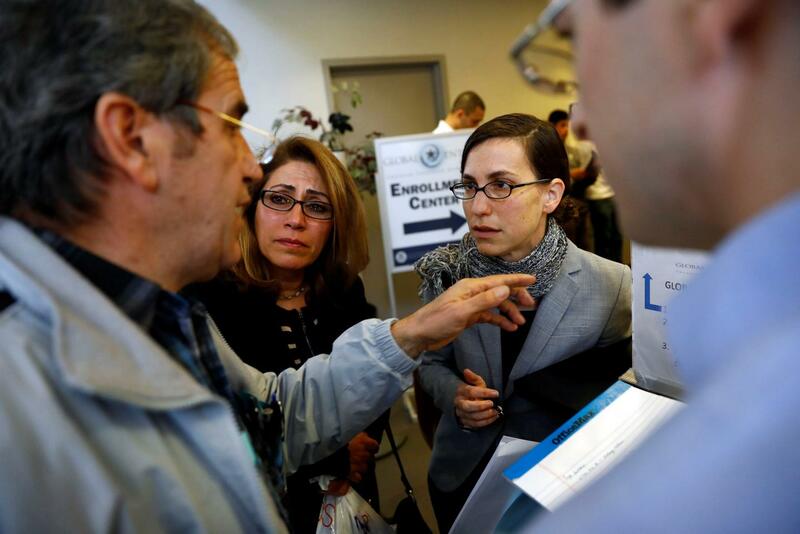 Co-founder and director of the International Refugee Assistance Project (IRAP) Becca Heller has reported that some 4000 lawyers have joined the organization in order to try to help out. There have also been many lawyers who showed up on their own to airports in order to offer their services pro bono, and the exact number of these lawyers has not been recorded as of yet. Over 100 cases have been filed by Sunday morning by these advocates and attorneys who are attempting to help travelers from the affected countries, which include Sudan, Libya, Yemen, Iran, Somalia, Syria, and Iraq. In addition to lawyers, several judges have also been trying to help with the situation. Federal Judge Ann M. Donnelly of Brooklyn officially ordered a temporary block on the President’s executive order. The block stated that the people who have been detained in the airports in the U.S. should not be deported. However, the Judge’s order does not necessarily mean they will be released from detention, but still allows them to remain on United States soil.